Karim Kara is a Kenyan born and bred, self taught, independent filmmaker and photographer. He, as a teen, was passionate about nature and the environment, which later led him to pursue and study ornithology. Following that knowledge gained, he consulted as an Ornithologist for Lafarge Ecosystems International. 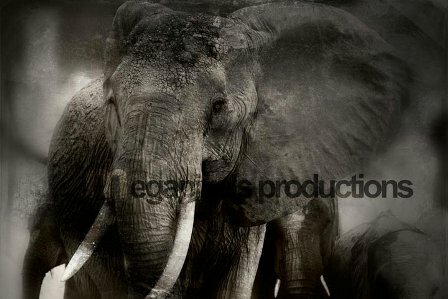 Ever since he was 13 years old, his beating heart began taking wildlife pictures and slowly moved on to corporate and commercial photography & films. That later led to the birth of his little media company; Megapixels Productions. Karim Kara has produced several short films and teasers for organizations, one which includes a film on the African Fish Eagle which was used as a plea for funding, for further research by The Peregrine Fund. Another being a full length anthropological documentary with The Colorado State University on The Maasai's Perspectives on Climate Change. His heart still beats very strongly for the wildlife & conservation world and whenever his time allows he is out in the bush with his most favorite 'models'. 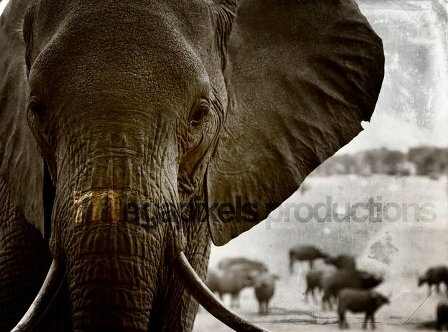 He uses his photography as a vehicle to educate people and to raise awareness about the dire situation that the animals, especially the Elephants, face in the ever so fast changing environment in Kenya. A little while ago he was able to sit and observe these gentle giants from a very special secluded spot a few years ago, that now no longer exists. All these things combined make it a very personal, passionate calling for him and it shows in his photographs. Most recently (2012) he was awarded Second Prize in the Film Category on Climate Change, for a contest held by The World Bank. Here is a very small collection of his work. Enjoy!! Image # MPOF2010/1 - Brilliant black & white portrait of a young family. 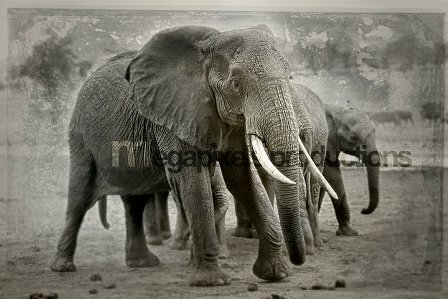 Image # MPOF2010/2 - One of my absolute favorite Elephant close-ups!! Prints are available for each image, printed on a high quality matte paper and mounted on board! It comes with a kickstand and wall-mount! Photographs are being printed by a professional local laboratory and each print will be checked, approved and signed by the artist. Below are the prices for the available different sizes. Please note that those prices do not include the shipping charges, which will vary according to your preferred shipping method and place of residence.